Kia India is all set to launch their first cars in the country next year. 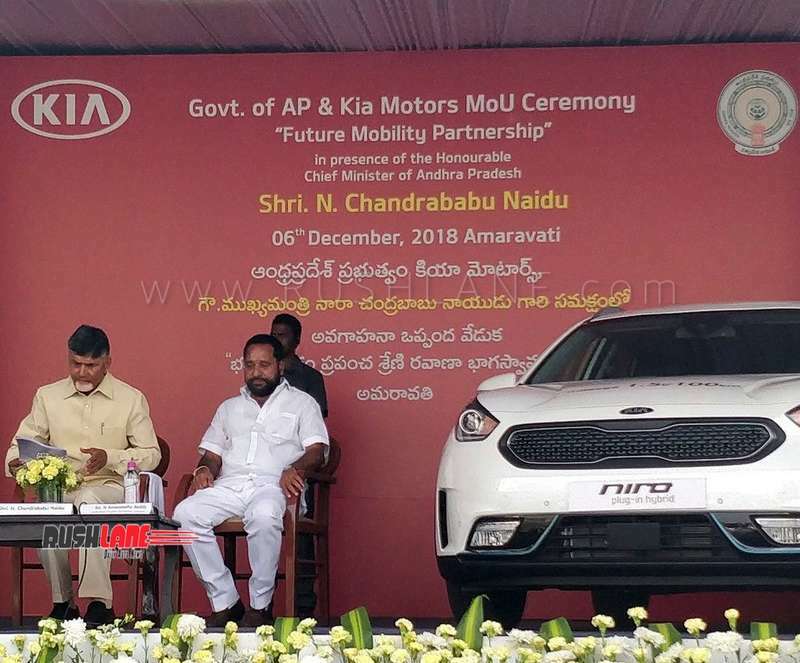 Kia Motors India has signed a MoU with Andhra Pradesh govt for ‘Future Mobility Partnership’. The auto manufacturer will set up EV charging stations at the AP Secretariat and have gifted 3 eco fleet cars – Niro EV, plugin-hybrid, hybrid. Of the three Niro vehicles provided, Niro EV electric crossover is capable of going 455 kilometres on a single charge by WLTP combined test cycle. The hybrid variants use parallel hybrid powertrains that switch between petrol and electric power. The partnership is in line with Kia’s support to AP govt in supporting electric vehicles (EV) and developing EV infra. 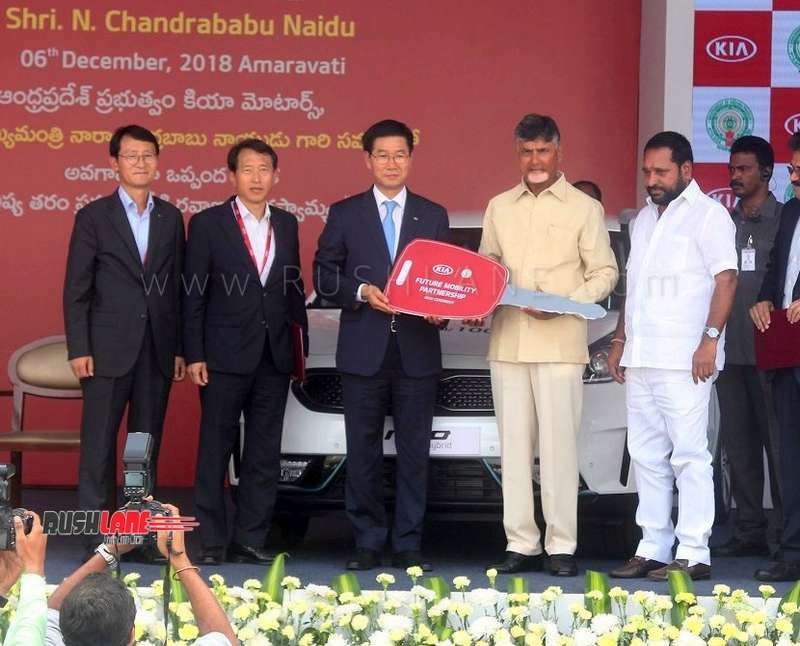 The MoU was signed in the presence of Chief Minister N. Chandrababu Naidu and Mr. Kookhyun Shim, MD and CEO of Kia Motors India. Alongwith the handover of a Kia Niro Hybrid, Niro Plug-in Hybrid and a Niro EV, Kia is installing a vehicle charging station at Vijayawada. As Kia prepares to begin business in India, it’s new Anantapur plant will be charged with manufacturing to cater to a rapidly expanding Indian market. Kia Motors India is working with the govt to design new gen transportation systems to meet the needs of 14 smart cities planned by AP govt. Kia ‘ACE’ strategy focuses on ‘Autonomous, Connected and ECO/Electric cars’. In line with such a future, Kia will integrate connected car tech across vehicle segments by 2030. 16 electrified vehicles are planned by 2025. Investments are being made to develop and commercialise autonomous driving and eco-friendly vehicles.